Alton Hall has represented clients in civil litigation and regulatory matters for more than 30 years. He has advised clients on public utility issues since the mid-1980's. He has represented municipalities, industrial companies and gas utilities before state and federal commissions. 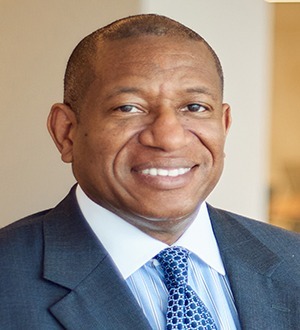 Alton has extensive experience litigating rate cases and other matters, including more than 70 trials, before regulatory agencies, including numerous proceedings before the appellate courts. He advises on legislative and public policy issues related to public utilities, and he has litigated a wide variety of matters relating to electric utility deregulation. Alton also represents public and private sector clients in complex commercial litigation, including environmental and toxic tort litigation and regulatory matters. He has represented numerous oil and gas companies in litigation matters ranging from oilfield contamination and underground storage tank disputes to royalty and other disputes. Alton has also advised clients in the home healthcare industry regarding ownership, partnership, civil fraud and regulatory matters. Alton was one of the founders of one of the largest African-American owned law firms in the United States, Wickliff & Hall. He continues to bring to his practice deep knowledge of corporate culture, government culture and his clients’ needs for representation by lawyers from diverse backgrounds.